Alex Noren is currently the 13th ranked player in the world and over the last two years has become one of the best ball strikers on the PGA Tour. 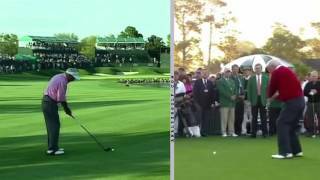 Early in his career, he was not nearly as strong from "tee to green", but he has been able to steadily improve by successfully tying together a few small changes. If you look closely, you will notice that Alex's somewhat unique pre-shot routine is in fact a rehearsal for the swing changes that have made him so successful. Of course, the key to this routine is that it combines all of the new moves into one "feel" or drill for him to focus on. 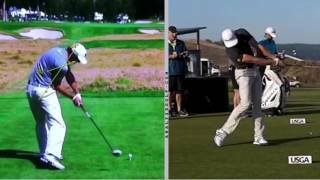 This really simplifies things and makes it possible for him to transfer his new skills to the course come tournament time. Ultimately, what every golfer can learn from this is that any meaningful swing change is likely going to involve a number of variables; too often players believe that there is only one move or change preventing them from swinging well. The real secret to making lasting change is to properly identify all of the patterns that must be re-worked and then doing enough repetitions to find the one playing "feel" or drill to tie them together. 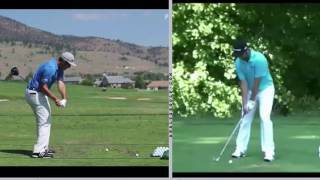 Analysis Video - Driver Flat Spot An in-depth look at one aspect of the club path as it relates to driving consistency. 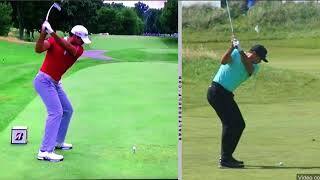 Swing Analysis - Tiger Woods Driver - 2018 Understand what may be contributing to Tiger's struggles with the driver. Swing Analysis - Francesco Molinari See what makes Francesco Molinari one of the most efficient ball strikers on tour. 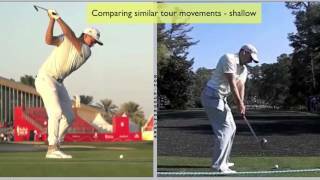 Swing Analysis - Tommy Fleetwood See what makes Tommy Fleetwood one of the elite ball strikers on tour. 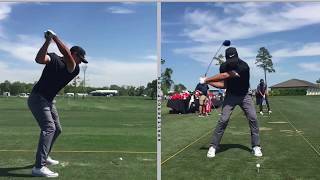 Swing Analysis - Jason Day What makes Jason Day such a good driver and wedge specialist? 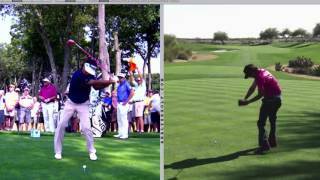 Swing Analysis - Tiger Woods Stinger Learn how Tiger made the stinger work as his go-to shot. 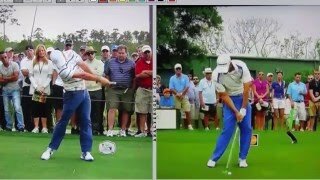 Swing Analysis - Steve Stricker Learn what makes Steve Stricker's swing so "simple"
Swing Analysis - Brooks Koepka See one reason why Brooks is such a long hitter! 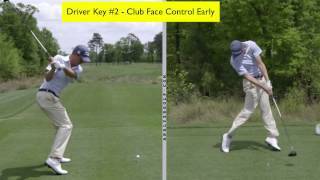 Swing Analysis - Justin Thomas Learn how Justin Thomas maximizes his club head speed with the driver. 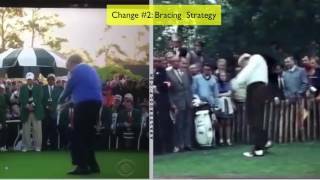 Swing Analysis - Arnold Palmer Old And Young See how Arnold Palmer capitalized on beautiful sequenced and body powered swing. 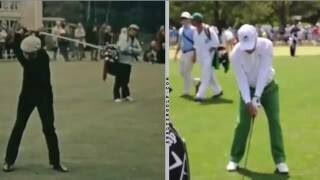 Swing Analysis - Gary Player Old and Young Learn what changed in Gary Player's swing over the years. 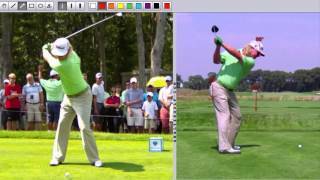 Swing Analysis - Old Jack Nicklaus vs Young Jack Nicklaus See what happened to Jack's swing over time. 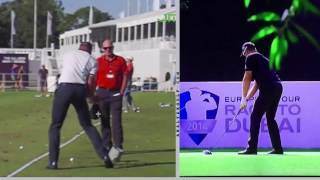 Swing Analysis - Henrik Stenson See what makes Henrik Stenson such a consistent ball striker and why he prefers 3 wood to driver. Swing Analysis - Jon Rahm See how Jon Rahm presets some of the downswing movements at the top of his swing. 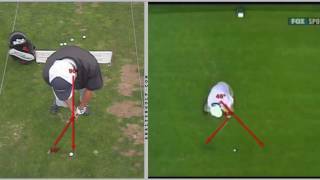 Swing Analysis - Charley Hoffman - Slow Motion Swing Analysis See what you can learn from Charley Hoffman's impact position. 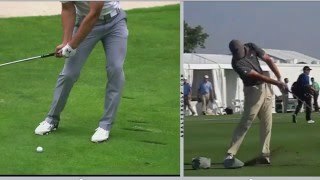 Swing Analysis - Jordan Spieth - Release Concepts In this analysis video, Tyler Ferrell breaks down the release pattern of Jordan Spieth and how it helps him to strike the ball so consistently well. 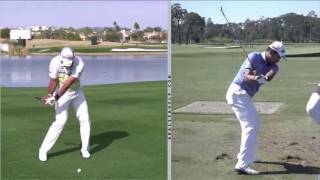 Swing Analysis - Sergio Garcia Tyler discusses the similarities between the swings of Sergio Garcia and Ben Hogan. 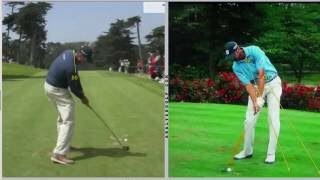 Swing Analysis - Bubba Watson See what really makes Bubba Watson's swing "unique"
Swing Analysis - Jim Furyk What can you learn about your own game from this tour pro's swing? 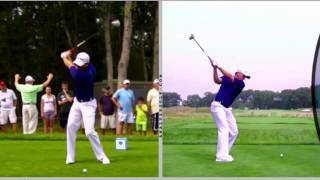 Swing Analysis - Jordan Spieth What can you learn about your own game from this tour pro's swing? 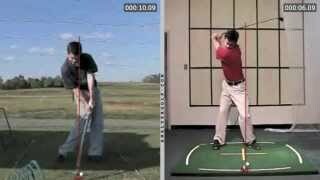 Swing Analysis - Tyler Ferrell A video analysis of GSA co-founder, Tyler Ferrell.